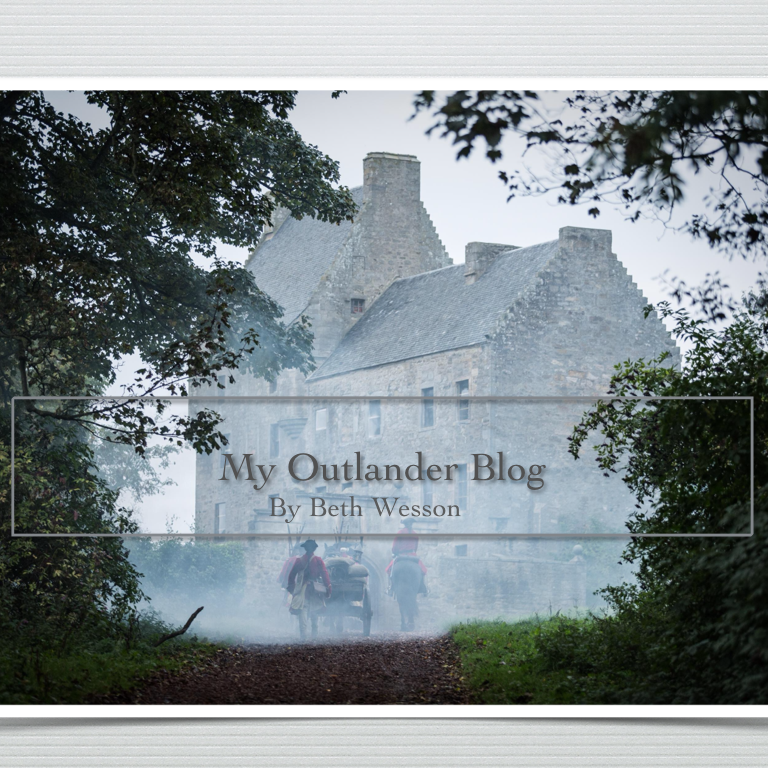 Because she wrote a book – My Outlander Blog! I woke this morning to a tweeted response from Diana that cracked me up! She does that a lot. Witty lady is Herself. However, the response back from the man who wrote the post caused me to put my hand over my mouth to swallow a sob. His response was a perfect example of how much Diana’s books can impact people’s lives. His story was similar to many others I’ve heard. He said he began watching the show with his wife. He enjoyed it and added that he had begun to read the books. He was amazed there were eight. Diana laughingly responded that he could take his time reading because it takes her awhile to write a new one. I chuckled, but then I read his response. He shared that he suffered from PTSD and watching the show and reading the books have kept his mind busy. He then added that as a result, he didn’t have nightmares last night….I can still feel the lump in my throat. _Amazing_. People have shared so many of these stories with the fandom. Luanne Uttley and her Outlander found friend from across the sea, Lori Renfro began a Facebook page as a place to collect and share stories of how Outlander has impacted lives. 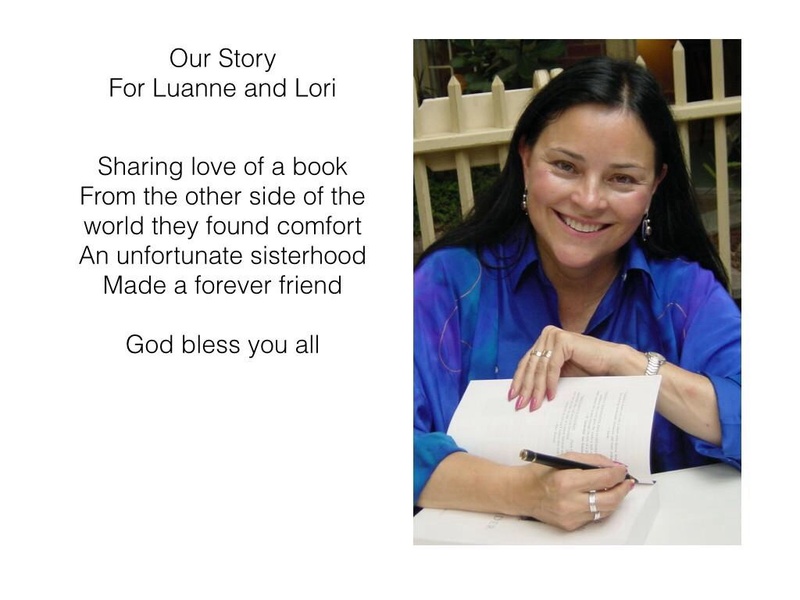 Lori and Luanne’s story is one of those special gifts that the universe can sometimes throw your way. These two met while discussing their shared love of Outlander on social media. But, they soon discovered that they shared much more than fandom. Because Diana wrote a book, these two found a support system and a real-life friendship. To their amazement, they found that they shared a very unique and special sisterhood. They both were the mothers of daughters who suffered a similar and rare disability. From half-way around the world they found comfort and kinship. And, maybe the most rewarding thing that happened was that their daughters connected. The girls share a disability that makes social interaction difficult, but, to their mothers’ amazement and delight they talk on the internet….for hours! You can read story after story of people who found comfort and distraction from the illness and tragedy in their lives because they read Diana’s books. People who found the courage to stand up to an abuser. People whose marriages were saved or enriched because of the relationship they saw shared between Jamie and Claire. People who actually changed the course of their lives because what they read inspired them to take a risk. Personally, these books inspired me to begin writing. I’m constantly finding some new truth about life in Diana’s stories to expound on! And, I’m learning a lot because Diana is wonderful at sharing her accumulated knowledge, especially about the craft of writing! Writing has brought me a lot of joy and a social life! Love to talk and share ideas with other fans. 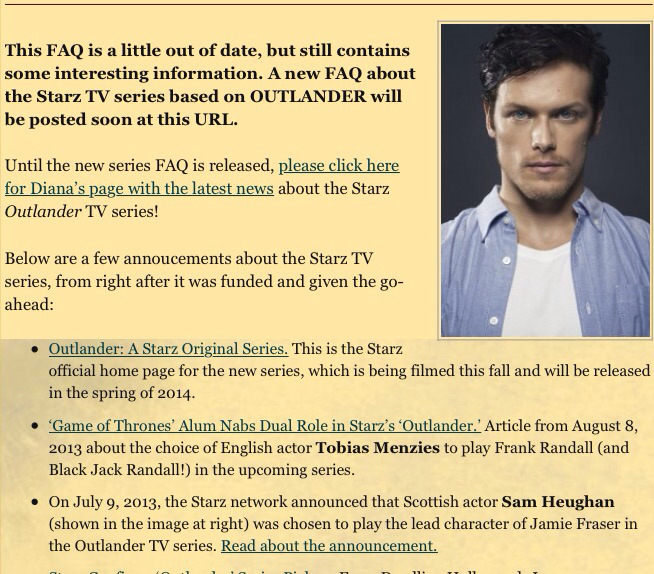 Because Diana wrote a book, I have gained real-life friends who share a love of Outlander and writing. I want to emphasize the “real-life” part of that statement because I didn’t expect it. I was enjoying talking with other fans on social media , but I never expected that interaction to lead to real relationships. One particular fan has become a particular friend, Connie Hertsenberg. We actually got to meet at an Emulsion screening in Columbus. She gave me the best hug I’ve ever had! No really! Great hugger that Connie. We found we had so much in common that we decided to meet up for dinner with husbands in tow. They got along too! She has been a constant supporter and a loyal friend. Truly one of the nicest people I’ve ever met. And, when I was sick all the #cgng girls and other folks from around the country and world were so supportive. I got cards, phone calls, messages and I even got a bouquet of flowers from “Jamie” with a card expressing his desire that I be the last girl he kissed! (Still don’t know who sent that). This has been an unexpected, but enriching experience. If you’d like to read some stories about how Diana and her books have affected people’s lives go to Luanne and Lori’s web page on Facebook; All Because Diana Wrote A Book. Believe me they are well worth the read. You might even be inspired to write your own story about how Diana’s books have affected your life. You might even want to send Diana a thank you note <g>.